After our Beijing tour, we left the following morning at 9:00 am via China Eastern Airline (Flight Attendant's were attentive and snacks were served) headed to Shanghai, China. 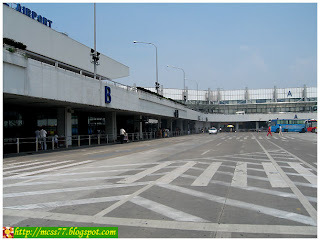 We landed smoothly 2 hours later in Shanghai Hongqiao International Airport. 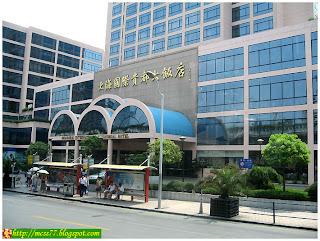 Hongqiao handles most domestic and some International flights, it is situated about 13 kilometers from downton area and more than 40 kilometers from Pudong International Airport. Terminals A and B cover about 82,000 square meters (about 20.3 acres) with 15 waiting halls, 18 VIP lounges and 15 baggage transfer belts. 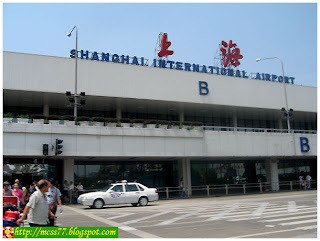 For Filipinos and other foreign visitors, you have to obtain a visa before entering Shanghai. You can apply for the visa in the Consulate of P.R. 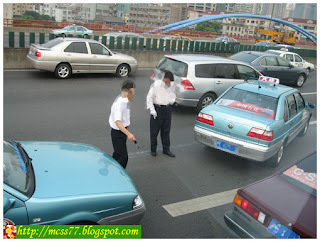 China in your country. 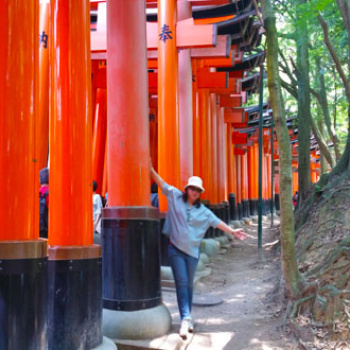 Alternatively, (just like us) you can obtain the visa through a travel agency. 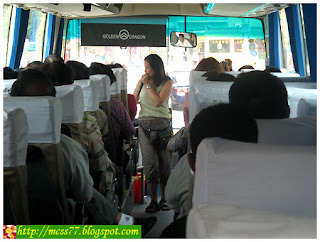 After checking out, we hopped on a tour bus and headed further into the city. I was busy snapping pictures of the great views, then I decided to take a picture of Jane, our tour guide (uhm, guys she's still single hehehe), who at that time was engrossed in explaining the city landmarks of Shanghai. 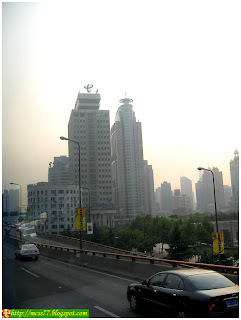 Shanghai is the largest industrial city in China and the seventh largest city in the world. 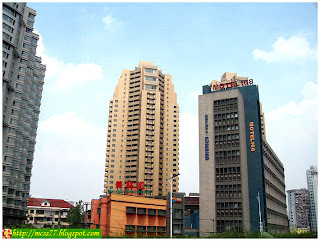 Today, it is a multi-cultural metropolis with both modern and traditional Chinese features. 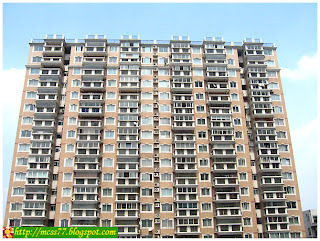 The city is divided into two main areas, Pudong and Puxi. It is also one of the safest cities in the world for foreign travelers, but like in any major city, pickpockets and thieves do exist. This is a trolleybus or also known as electric trolley bus, powered by two overhead wires, from which it draws electricity using two trolley poles. 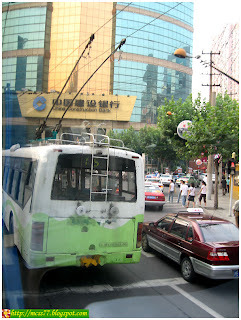 Hb and I did get a chance to try the electric trolley bus while we were in Beijing; it was our first time to ride this mode of transport. We were going over a long overpass when we actually witnessed a minor two-car collision across the street. Thank God, no one was hurt. 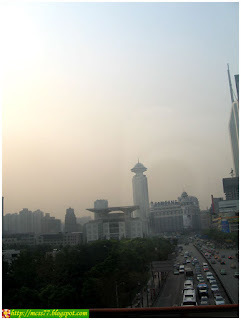 It was summer time (August), when we visited Shanghai. So, the weather was torturously hot to be exact. We tend to get fairly wet after minutes of walking. But at the end of the month, there were already frequent rain and alternating spells of warmth and cold. 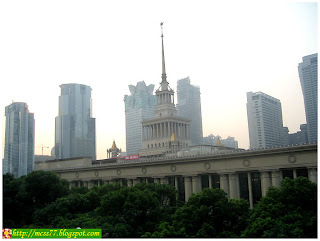 The place has many attractions in the downtown, including Huangpu River, the Bund, Oriental Pearl TV Tower, Yu Yuan Garden, and the special old streets and lanes. 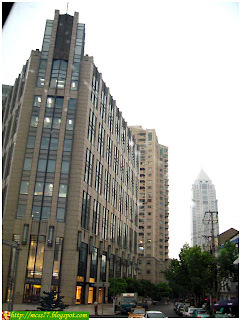 Shanghai has progressively become popular also with various top filmmakers. To name just a few, it was included in the movie Armageddon (1998) and Empire of the Sun (1987) directed by Steven Spielberg. The RMB (Renminbi) is the official currency. 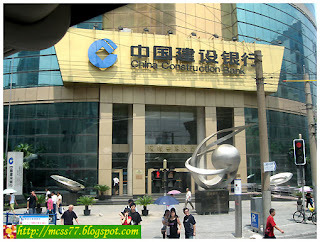 The basic unit of RMB is the Yuan (¥), also known as "kuai". Yuan notes come in 1, 2 5, 10, 50, and 100. 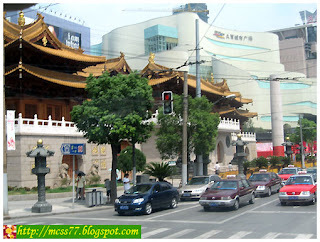 The official language in China is Mandarin but distinct dialects are spoken throughout the country. 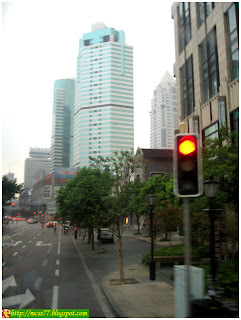 Shanghainese speak Mandarin or Shanghaihua, however outside of international hotels, restaurants, and shops, English is still rarely spoken. The city is officially atheist, but traditionally pragmatic and eclectic. Some 2% to 3% of the population practice Daoism (Taoism), Buddhism and Islam. An estimated 1% are Christians. 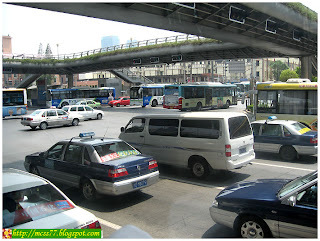 Shanghai will be the host of the Expo 2010 World's Fair between May to october 2010. 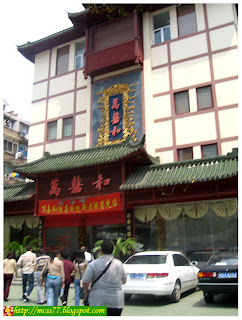 Later on, we had our lunch at a local Chinese restaurant (forgot the name). 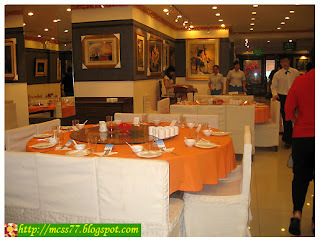 They served us delicious Shanghai cuisine and different flavors from China. 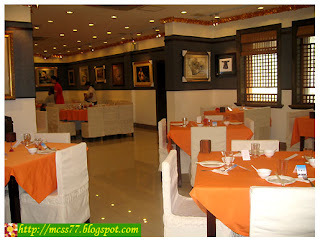 It has a carefree charm and great ambiance with a selection of expensive paintings for sale, adorning every wall of the restaurant. We saw a painting that cost P80,000.00 (roughly US$1,770.00). Whew! 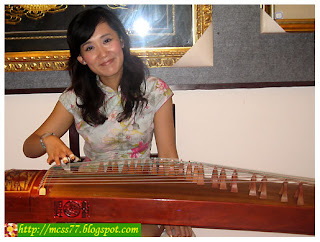 While having our lunch this lovely lady in Chinese traditional dress skillfully played a musical instrument called Zither. It's a musical instrument composed of a flat sound box with about 30 to 40 strings attached over it and played horizontally with the fingertips. We had allowed ourselves to become enveloped in calm as the sweet strains of unique sound played. I love it, very relaxing and soothing to the senses. Hi, I love this entry, very informative. May I ask, how/where did you book your China Eastern flight? I'm planning to travel around China using this carrier too. Thank you. Hi J, thanks for the nice comment. Hope you have a blast on your vacation! 479 - 481 Sto. Cristo St. Binondo, Manila Phil. 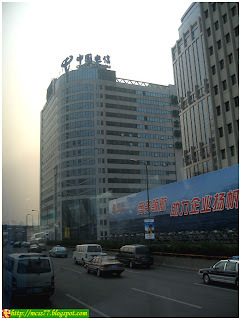 Note: They are partner with China Panorama tour based in Shanghai.